Check your email if you're a Post It newsletter member! 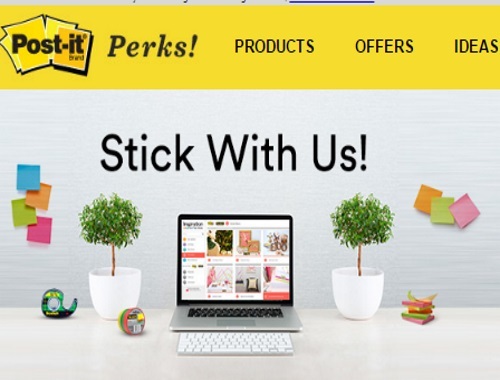 They've got exciting news: your Post-it Perks newsletter is undergoing a transformation. Scotch and Post-it Brands have joined forces to bring you Inspiration That Sticks, a new blog and newsletter filled with inspirational ideas and tips, innovative product news, limited-time offers and promotions, exciting giveaways—and more—all delivered straight to your inbox! To celebrate, they’ll send you a Free Gift when you confirm your newsletter subscription! While supplies last. 7,344 free samples available. Offer ends on August 24, 2017. Please allow up to 8 weeks for shipping. Free gift consists of a Post-It or Scotch Brand Product. Approximate Retail Value of free product sample is $3.50 to $11.50 based on quantity availability (depending on random product allocation). To get this offer, just confirm your interest at the link in the email that you received to confirm your mailing address! My email was in my junk mail and titled "Confirm your email to get a free gift" if you want to look for it!